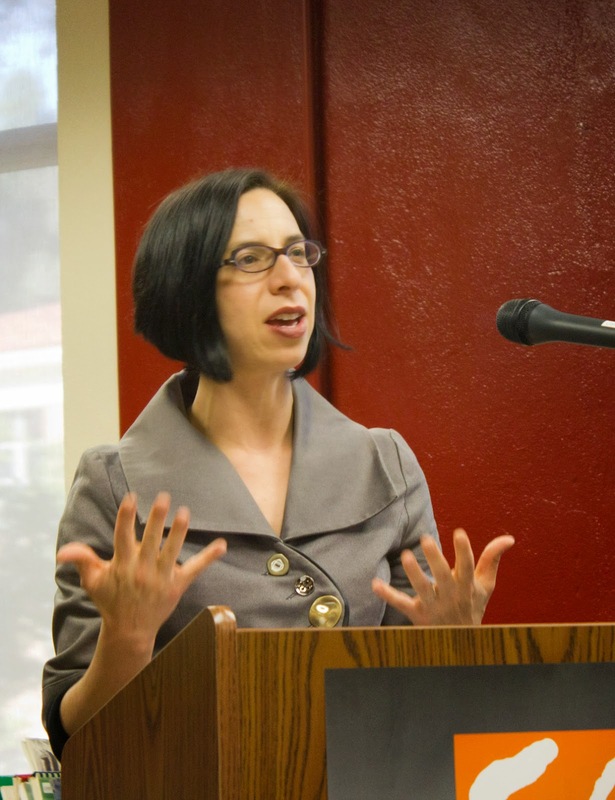 In her book project on “Racial Immanence: Chicano Bodies Beyond Representation,” Marissa K. López, Associate Professor in the Department of English, asks how theories of embodiment illuminate racialization within Chicana/o cultural production. Her research locates the figure of the unruly body to address the historical ambiguities surrounding Mexican American racial identity through bodily philosophies that challenge the geopolitics of subject/object relations on national and global scales. López’s study substantially differentiates from the existing humanistic discourses on race in Chicana/o studies by pressing against the conventional assumption that race is not biologically real; instead, she asks us to consider race as a kind of physical, affective experience that strengthens personal and political connections to the material world. López both draws on and departs from scholarship of thinkers like Quentin Meillassoux, Jane Bennett, and Rosi Braidotti to move away from a top-down institutional or sociopolitical interpretation of bodies. In its place, her book works past the body as metaphor for subjectivity by reimagining Chicano bodies of literature and bodies in literature from the 1980s and 1990s to create a material archive whereby race becomes a bodily fact and historical object in the world. Chapter-specific studies cover a dynamic set of comparative texts to address how Chicano artists and writers grapple with the management of brown bodies in transnational American spaces. López’s recent publications include “¿soy emo y qué? sad kids, punkera dykes, and the Latin@ public sphere” (forthcoming in Journal of American Studies), “Feeling Mexican: Ruiz de Burton’s Sentimental Railroad Fiction” (forthcoming in edited volume titled The Latino Nineteenth Century), and (with Dana Williams) “More Than a Fever: Towards a Theory of the Ethnic Archive” (PMLA 127:2  357-359). López serves as the Associate Director of the Chicano Studies Research Center at UCLA and is chair of the Modern Language Association’s Division Executive Committee on Chicana/o Literature. Dana M. Linda is a doctoral candidate in Comparative Literature with a concentration certificate in Gender Studies at UCLA. Her areas of research and teaching are Caribbean and comparative literatures, black Atlantic/diaspora studies, and postcolonial geographies of race, gender, and empire. Her dissertation examines Caribbean literary forms that demarcate the postcolonial inheritances of urban space from twentieth century to contemporary conceptions of globalization. Her research and studies have been supported by UCLA Graduate Division, the U.S. Department of Education, the UC-CUBA Academic Initiative, the Mellon Foundation, and the UCLA International Institute.